Asian Restaurants in Rotorua hold their own alongside other cuisines in the city. There are some good Japanese and Thai options, but just wander along Tutanekai Street (aka Eat Street) to find a good variety. 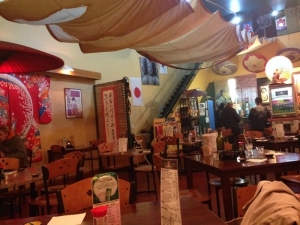 Rotorua Asian Restaurants manage to sit quite nicely alongside the more common, and traditional, hangi and Pacific Rim cuisines that Rotorua is famous for. Because the city is so compact, you won't have to go far to find something that suits you. The Te Ngae Shopping Centre, out by the airport, has an excellent, and cheap, South Asian noodle house. Amohau Street has a smattering of Chinese and Thai. You'll even find a Mongolian BBQ nearby on Amohia Street. As ever, Tutanekai Street is the epicentre of Rotorua dining, but you'll still have to get in early. Even after 9pm, menu options decrease quickly, and you don't want to go to bed hungry.